St David was a 5th-century bishop who founded monasteries in Wales and Brittany. were equal to a trip to Rome, and three matched one to Jerusalem. Here’s a recap for you of the legend that is Dwynwen, Wales very own patron saint of love. The Welsh patron saint of lovers, Santes Dwynwen was a lovelorn 5th-century princess who fell for the wrong man and asked for God’s help to forget him. Sure enough, an angel visited her in her sleep and gave her a potion to forget the chap, who was turned into a block of ice. God granted Dwynwen three wishes: she asked that Maelon, the object of her affections, be thawed; that God should meet the needs of all lovers; and that she should never marry. 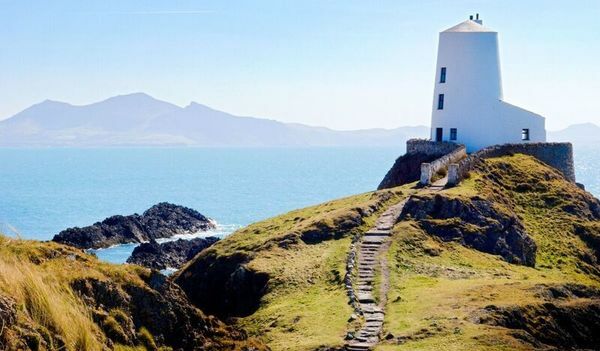 Dwynwen spent her days on Llanddwyn Island, off the coast of Anglesey, where she set up a convent. To this day, lovers head to the picturesque tidal island to visit Dwynwen’s Well. It is said that if fish are seen to be active on a couple’s visit, the husband will prove to be a faithful one. Why not come to Coed Adam for a romantic break this spring ?